Sessions include a mix of strength, flexibility, cardiovascular, balance, coordination and mobility exercises to improve your heart, bone and overall health. The session really is for all ages, so pop along and join in the fun whatever your age! Sessions will run, except in extreme inclement weather, so please wear appropriate footwear and clothing. 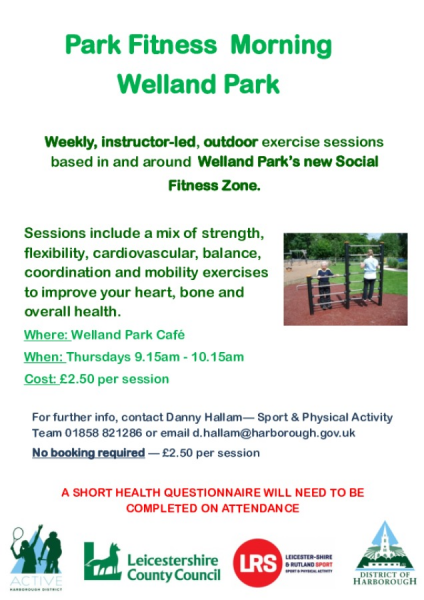 Following each session, the group often visit the Welland Park Cafe for a hot drink and a chat. No need to book, just turn up and introduce yourself to our instructor, Liz.